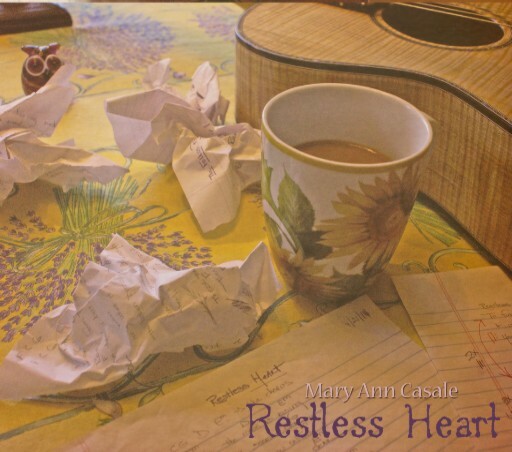 I hope you will join me to help celebrate the imminent release of Mary Ann Casale’s newest CD, Restless Heart. This concert is close to my heart. I remember listening to Mary Ann in the seventies, in the days of the Wild Oat and Django’s (two legendary establishments that brought great music to Potsdam). She set aside performing in public for 30 years and only started writing songs and performing again a few years ago. Even with her talent, it takes a lot of courage and strength to swim in today’s current of talented local musicians all vying for space on the stage. But she is a musician’s musician and has benefited from the support of many local performers who she plays regularly with. Key among them is international bluesman and producer of this CD, Tas Cru, who will join her for the release. Once again she is doing this as benefit for the local Food Pantry. I always find it terribly ironic that hunger is as much an issue in this agricultural area as it is in cities, but it is. Equally ironic is that it is starving musicians who volunteer to help raise money for food pantries. It’s difficult to compete for money with the presidential candidates and national causes, whose ubiquitous fundraising emails crowd our inboxes, so food pantries, with no budget for real fundraising, can’t keep up with the needs. So come on out and enjoy yourself while helping out your community!